This is a tiny, quick painting. It graces the home of Cassie’s parents, recalling fine days of competitive sport. Having moved on to wake boarding and dirt bikes, Cassie is still a super athlete. 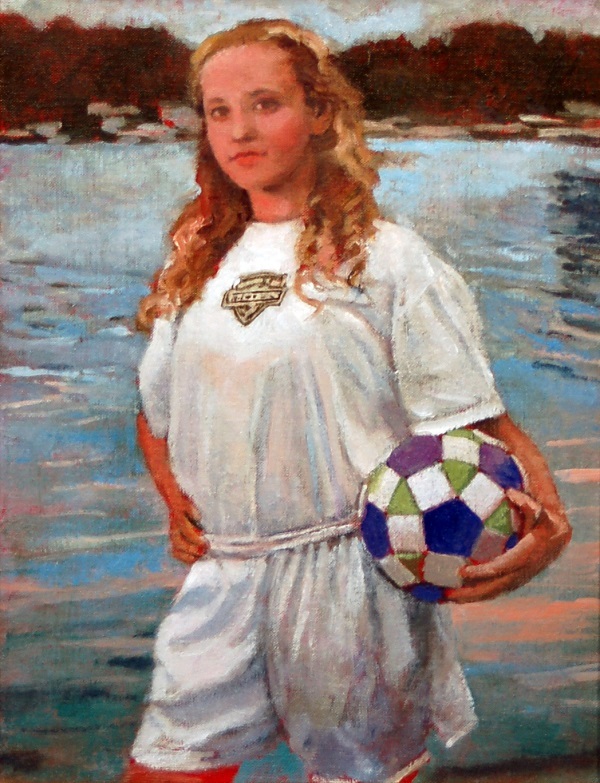 This painting depicts her in front of the lake where she lives, just as daylight wanes. This piece was featured in the first CSOPA (Connecticut Society of Portrait Artists) showcase, an exhibit in Oxford, CT from October 2nd through October 29th, 2013.